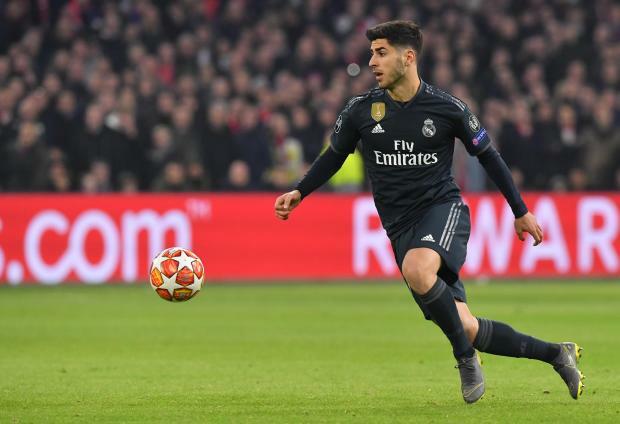 Real Madrid needed a late winner from Marco Asensio and VAR’s debut in the Champions League to beat a spirited Ajax 2-1 in the first leg of the last 16 on Wednesday. Ajax have not beaten Madrid in 24 years and thought they were on their way at the Johan Cruyff Arena when Nicolas Tagliafico headed home after a Thibaut Courtois error. But referee Damir Skomina judged Dusan Tadic to be offside upon review and Madrid showed no pity on their youthful opponents, Karim Benzema and Asensio scoring two precious away goals in the second half. VAR has been introduced to the Champions League for the first time in this year’s knock-out stages and leaflets were distributed to the media before kick-off, one of the points explaining that reviews should only be made for “clear and obvious mistakes”. Tadic’s intervention on Courtois was minimal and even if he was just offside, it seemed generous to judge he had made enough of an impact on the goalkeeper to be penalised.